After six years, SURG restaurant group is saying goodbye to Milwaukee’s Bradford Beach. Omar Shaikh, Co-owner and President of Bradford Beach View, an affiliate of SURG restaurant group, said it was just time to move on. “What we ask is that people still come here to enjoy the beach,” said Shaikh. “Mike Polaski (Co-owner) with the restaurant group invested a lot of money here and wanted to leave a legacy behind,” he also said. 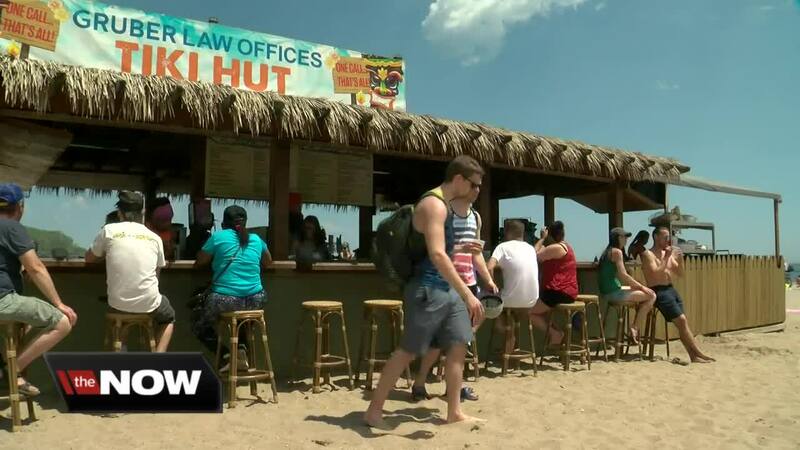 The restaurant group built and ran the tiki huts on the beach and expanded the volleyball courts, partnering with Milwaukee County Parks from 2012 to 2018. “It’s been a fun ride, but it’s really been a great relationship with the county and it wasn’t an easy decision to leave it behind,” said Shaikh. TODAY’S TMJ4 partners, The Milwaukee Business Journal, reported last January the county was looking for concessions operators and the minimum annual rent provision was $60,000. “I don’t think it’s unreasonable. I think one of the things we’re always looking at is to be competitive in the fact that, what percentage versus capitol improvements. I think, which was great with SURG and some of our other partners, is being able to not only create some revenue, but also do some upgrades,” Parks Director, Guy Smith said. Smith wouldn’t name who, but said he’s already been contacted by interested vendors to take over and Milwaukee County Parks is open to ideas. “We could do some things in house, meaning with Milwaukee County, some things with third party vendors and sometimes there’s a partnership of the two,” Smith said. Smith reassures the public, come summer, Bradford Beach will once again be a hot spot in our city. “I think it’s going to continue to be a great venue. We might even expand certain things,” Smith said. Milwaukee County Parks said in late winter, early spring it will announce the future plans for the concessions at the beach. The Bartolotta Restaurants run Northpoint Custard on Bradford beach. TODAY’S TMJ4 reached out to them to see if they plan on staying and we’re waiting for a response.